When will my items be shipped and delivered? Upon receipt of payments we will proceed to pick and ship your orders within the next 48hrs. Delivery time is dependent on the mode of delivery selected and at the full discretion of the postal service provider, which is not within CycleXafe’s responsibility. Are there any warranties for my purchase? CycleXafe products are fully inspected before we prepare our products for shipment. Products warranty where specifically indicated on the product information, CycleXafe honours 100% of our commitment to customers. 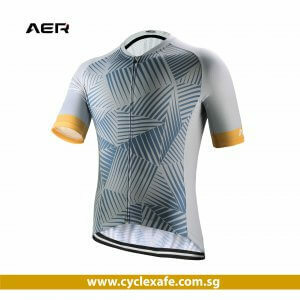 For all apparel products, CycleXafe provides exchange policy where product labels are not removed from item, or product is NOT tampered / damaged within 7 days of purchase. All warranty claims and product exchanges are based on submitting an email claim to CycleXafe, with photographs where applicable. Upon CycleXafe approval and acknowledgement, customer may bring in the affected product to the CycleXafe address as advised. Lastly, CycleXafe reserves the right to reject or disagree to claims upon receipt of actual item NOT in exact condition as first reported. Will there be any promotions on items here? All CycleXafe pricings are displayed along with individual products. Promotions and bundle deals are offered at the sole discretion of CycleXafe and we reserved the rights to cease such programs where necessary. What are the ways to pay? CycleXafe purchases can be made via credits cards or through online banking. In order to help customers save administrative charges, we have specially designed and allow our customers to reserve specific items where they are interested and make inter-bank payments separately outside of CX page and our administrator will pick up your payments to confirm your order. Should your payments are NOT received within 24hrs, the system will automatically cancel your reservation. How to request for refund? 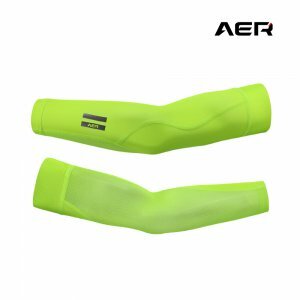 You may request for a refund or other assistance with your purchases at www.cyclexafe.com if items purchase are found non conformance to products specifications, subjected to Cyclexafe final review. Can I view my purchase history later on? We encourage our customers to sign up an account with CX to enjoy special discounts, check order status and your purchase history. Sign up for a better shopping experience with us now! Customers are allowed and encourage to update your personal information timely in order for your delivery address and contact information and correct CX use to ship your orders and to contact for verification whenever necessary. Third parties are not permitted to sell the information we provide to them, to market directly to you, or to disclose it in any other way without your explicit consent. We share your personal information with Internal Service Providers for our operations only to facilitate or outsource a CycleXafe service or operation when absolutely necessary and under confidential restrictions. We give you choices about how you wish to be contacted in the Preferences section of My Account. We will let you change your personal information so that you can keep it up to date. Other CycleXafe companies that have access to your personal information in accordance with the policy are required to protect your personal information at least as strictly as we do. We use safe, secure technology and other privacy protection programs to keep your personal information secure on CycleXafe.